Zimbabweans have expressed mixed feelings over government’s move to legalise the production of cannabis (mbanje). Mbanje growers will be required to pay an annual return fee of $15 000 while an application to renew a producer’s licence will cost $20 000 and a licence to conduct research on cannabis has been pegged at $5 000. “Did (the) interim government that is here to finish off Robert Mugabe’s term actually legalise mbanje (dagga, cannabis, hashish) farming without first discussing it in Parliament? Does this decision carry several other policy & legal implications?” Kagoro wrote on his Twitter account. 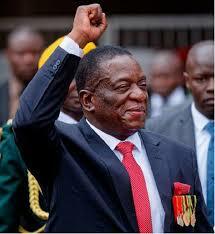 “The level of liberalism in Zimbabwe is making heads spin. We have sexual rights groups exhibiting at ZITF. Some are saying it’s a prostitutes galore, we are having mbanje being liberalised, but most importantly a very open and free political space. “Take the good with the bad,” Mangwana wrote on his twitter account. Political analyst Maxwell Saungweme said: “There was no legal, medical or economic justification to ban farming of cannabis apart from some restrictions and laws inherited from the colonial times. Cannabis is a good forex cash cow and has many health and medicinal benefits. “The ED regime has done well. They should actually remove all sanctions, laws and other restrictions to its farming. move by government ahead of elections.